»Travelling to Chennai? Know about these Must-Visit locales near Chennai!! Travelling to Chennai? Know about these Must-Visit locales near Chennai!! 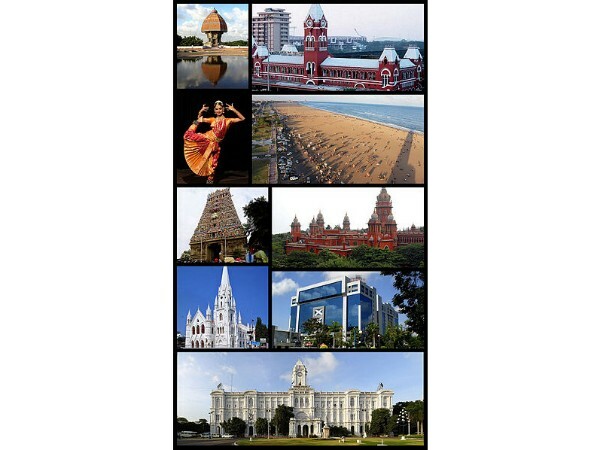 Located on the Coromandel coast off the Bay of Bengal, Chennai is the capital of Indian state of Tamil Nadu. Dotted with beautiful and tranquil beaches, impressive collection of ancient temples and monuments, wonderful mangroves and quiet and scenic locales, the metropolitan city of Chennai is one of the most sought out tourist destination in South India. Though every countryside curve in the road offers you a scenic marvel to devour and remember, let's take a look at some of the best places to visit near Chennai. These are Must-Visit sightseeing places in and around Chennai that are worthy of our attention! The list has all kinds of elements in it - nature, adventure, spiritual, history and any other thing that drives your travelling instinct. Let's explore Chennai! The awe-inspiring beauty of Marina beach is a mandatory in every list of things to do at Chennai! It is the world's first longest and India's longest natural urban beach! The 6.5 km sandy stretch, from Fort St. George to Foreshore estate, is one of the most visited beaches in the country. With rich flora-fauna and pristine locales, it is one of the major tourist attractions in Chennai! Elliot beach is a picturesque beach located in Besant Nagar, Chennai. In the colonial era, it was a fairly exclusive place limited to white people! A prominent landmark on this beach is the Karl Schmidt Memorial. Founded in 1644, it's the first English fortress in India! The Fort museum exhibits many items like weapons, coins, medals, uniforms and other artefacts from England, Scotland, France and India dating back to the colonial period. Made of teak wood, the flag staff at the fort is one of the tallest in the country! Semmozhi Poonga oozes with natural beauty! It is a botanical garden in Chennai that houses some of the popular exotic flora and rare plant species, medicinal and aromatic herbs! Encompassing an area of 20 acres, it features 8 subgardens displaying flora of different varieties, such as a tree court, mural walk and bonsai, herbal and exotic gardens, in addition to an artificial duck pond. Wondering why a library has been mentioned as an attraction? Connemara Public Library is a repository of centuries-old publications, wherein lie some of the most respected and rare works and collections in the country. It is one of the four National Depository Libraries which receive a copy of all books, newspapers and periodicals published in India and without having seen the Connemara Public Library, you will find your knowledge of the Chennai buildings and architecture to be lacking! Arignar Anna Zoological Park is a zoological garden in Vandalur which is home to around 1,500 wild species, of which 46 are endangered. Most of the exhibits in the zoo lie along a circular road covering about 2.5 kilometres. The deer safari, lion safari and elephant safari of the park are quite famous! Kapaleeshwar Temple is a 7th century Dravidian temple dedicated to Lord Shiva! It is one of the important temples in the region and has numerous shrines, with those of Kapaleeswarar and Karpagambal being the most prominent.